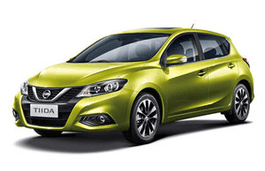 Correct Wheel Sizes, PCD, Offset, Rims and Tire specs for Nissan Tiida series. 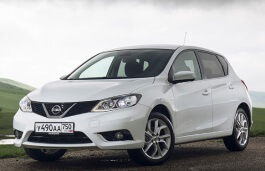 Can i use on Nissan Versa2009 185/55/15? Hi,Adrian,no,it can not fit for your car.Try215/55/15. Hi,Abdul Nasar,according to the tire calculator,if your tire size is 185/65/16,it is not available for your to use 185/65/15.I do not recommand you to use that. 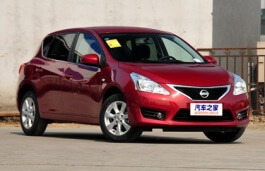 Hi, I'm using a NISSAN Tiida (Latio) 2006 sedan with original factory fitted alloy. Can i know what are the specs of the original wheel cap for it? Hi,Roshan,The wheel cap you mean is for the cap in the wheel center bore?If yes.the size is about 66.1mm.In fact,you can buy it immediatly in ebay and input your car model. 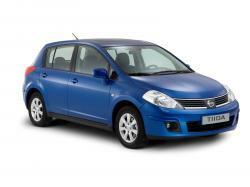 I own a 2008 Nissan tiida latio. Can I use wheel size 16 instead of 15? Hi,Mac,Yes,And you need confirm the 16'' wheels must have same bolt patern and similar offset. 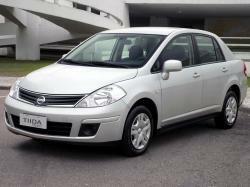 Hi, I have a 2005 Nissan tiida with 15" wheels on them now. Is it possible to go to 16" or 17"? If so, do I have to alter anything in order for it to collaborate with speedometer etc? Hi! 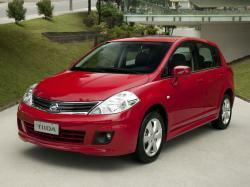 I am using nissan tiida 2011, Sedan. I have 17 inch rim, which tire size is the best to use? Thank you!